Language Arts is a developmental subject. Much of what we expect students to do at the end of their formal education is introduced as early as kindergarten. Students listen, speak, write, read, use language, and enjoy literature at all levels and grades. The difficulty of the materials, the complexity of what students do with them, and the sophistication of their skills change as they grow older. Students move between novice and expert in their ability to take control of language processes. It is important to remember that literacy learning may not be sequential, and that each child has a unique developmental pattern. Our staff strive to provide children with rich language opportunities that will develop lifelong reading and writing behaviors. Our beliefs about reading and writing instruction are based on current research and on our experiences with and knowledge about how children learn to read and write. Activities that encourage the use of critical thinking skills are the heart of our literacy instruction. Teachers use many instructional approaches to reach all kinds of learners. How do good readers read? Successful readers integrate multiple cueing systems while struggling readers tend to over rely on just one or two of them. How will my child be taught to read and write? Most importantly, your child will be immersed in a rich literature and language arts environment as he or she listens, talks, writes, and reads using meaningful texts throughout the school day. Your child will be taught how to use all cueing systems effectively through teacher demonstration, peer modeling, discussion, small group instruction, and daily reading and writing opportunities. Dexter's literacy development program focuses on early literacy activities that promote language development, vocabulary growth, listening comprehension, and a beginning understanding of how print works (e.g. directionality of print, letter-sound relationships, space between words, etc.). At Bates and Cornerstone students develop their comprehension strategies through the Making Meaning program, are assessed on their progression as a reader through the Fountas & Pinnell Leveling system and receive instruction through the use of guided reading instructional groups. We expect students to read and/or be read to each day at school and at home. Our students become writers and authors as they express their ideas through drawings, dictating stories, and experiment with their own writing and spelling. Bates and Cornerstone students are expected to write on a daily basis. What can I expect to find each day in every Dexter K-2 classroom? Reading aloud: A competent reader, usually the teacher, reads aloud to the students promoting story enjoyment and literature appreciation. Shared reading/shared writing: Students follow the text and are invited to read along while observing the teacher reading in an enjoyable reading situation. Similarly, the whole class generates a writing piece as the teacher records and contributes to their words/thoughts. Guided reading/writing: This is the core of our instructional program. The teacher develops lessons based on the needs and interest of children. These lessons are used to teach reading/writing strategies and skills that will enable the children to read and write independently. Independent reading/writing: Students select books to read or topics to write about, and they are in charge of their own reading and writing, both at home and in school. Although we provide explicit instruction, guidance and support, research confirms our beliefs that children learn to read by reading often and to write by writing often. You will see students taking responsibility for daily reading, writing, and record keeping of their work. In every classroom, you can view a well-organized collection of quality picture books and chapter books, fiction and nonfiction, poetry, and other resources. The literature collection will be located in an attractive and inviting reading area that is accessible to all students. In Everyday Mathematics, children develop a broad background by learning concepts and skills in all six content strands. Furthermore all mathematical curriculum is aligned with the Common Core State Standards. Each grade level is carefully mapped and aligned to the grade level standards to build mathematical proficiency as children progress across grade levels. In Everyday Mathematics, students develop a broad background by learning concepts and skills in six content strands: (1) Number and Numeration, (2) Operations and Computations, (3) Data and Chance, (4) Measurement and Reference Frames, (5) Geometry (6) Patterns, Functions and Algebra. A detailed description of the grade level focus for each strand is summarized in the document below. Our Science curriculum is based on the Battle Creek Math and Science program. Our K-6 staff has been trained and materials purchased based on an integrated inquiry method of teaching science. Students are involved in lessons and activities involving integration of science, math, reading, and writing through hands-on lab activities, inquiry, and discovery of science concepts. The Battle Creek Math and Science program is being updated with the adoption of the Next Generation Science Standards. Young Fives and Kindergarten--Myself and Others: Using a familiar context for five and six year olds, kindergartners learn about the social studies disciplines (history, geography, civics and government, and economics) through the lens of “Myself and Others.” Accordingly, each discipline focuses on developing rudimentary understandings through an integrated approach to the field. 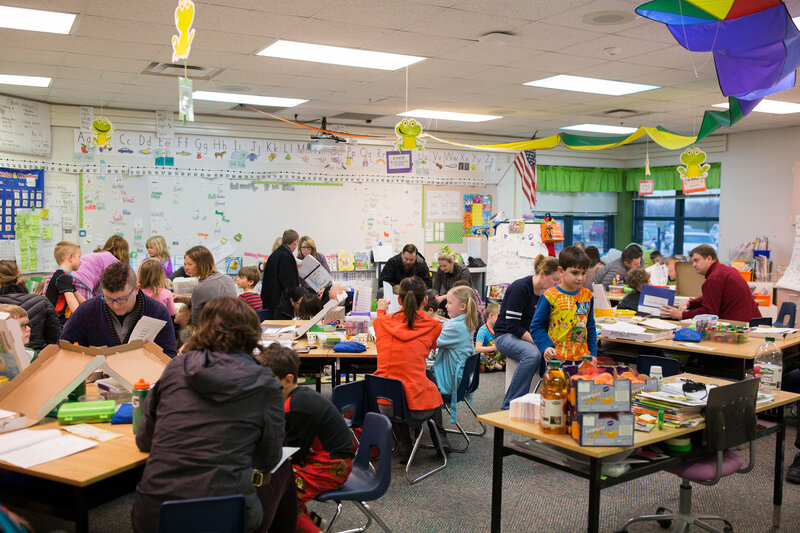 First Grade--Families and Schools: Students continue to explore the social studies disciplines of history, geography, civics and government, and economics through an integrated approach using the context of school and families. This is the students’ first introduction to social institutions as they draw upon knowledge learned in kindergarten to develop more sophisticated understandings of each discipline. Second Grade: The Local Community: Students continue the integrative approach to social studies through the context of the local community. This the first time students are introduced to a social environment larger than their immediate surroundings and they draw upon knowledge learned in previous grades to develop more sophisticated understandings to explore the social studies disciplines of history, geography, civics and government, and economics. History: Students begin to develop a sense of time and chronology starting with events in their own lives and beginning to understand the past; students learn about historical events and people; students learn about national holidays and why they are celebrated; students learn about personal perspective and how different people may interpret the same scene or event differently. Geography: students develop georgraphic awareness starting with their immediate environment; students begin to draw and read maps; students learn about distance and phyiscal perspective; students learn about how geography affects development and history. Civics: Starting with their own classroom governance, students begin to understand rules, rights, and fairness; students learn about being good citizens and exercising self-discipline and personal responsibility; students learn about power and authority; students learn about laws and why/how they are made; students learn about civic responsibility as members of groups; students learn about the role of government and taxes/fees to pay for government services; students learn how community life requires a balance of individual and group needs. Economics: students learn to distinguish between needs and wants; students learn about exchanges of labor or money to pay for goods and services; students learn about producers and consumers and supply and demand; students learn about connections between local businesses; students learn about different types of resources: natural, human, and capital. Public Discourse, Decision Making, and Citizen Involvement: starting with classroom issues, students begin to learn about democratic principles; students learn to respectfully express opinions and make reasoned arguments; students learn how to compromise; students identify public issues in the school community and investigate ways to resolve them. The elements and principles of design are the building blocks used to create a work of art. The elements of design can be thought of as the things that make up a painting, drawing, design etc. The principles of design can be thought of as what we do to the elements of design. How we apply the principles of design determines how successful we are in creating a work of art. Shape: A shape is a self contained defined area of geometric or organic form. A positive shape in a painting automatically creates a negative shape. Texture: Texture is the surface quality of a shape - rough, smooth, soft hard glossy etc. Texture can be physical (tactile) or visual. Value (or Tone): Value is the lightness or darkness of a color. Balance: A large shape close to the center can be balanced by a small shape close to the edge. A large light toned shape will be balanced by a small dark toned shape. Gradation: Gradation of size and direction produce linear perspective. Gradation of of color from warm to cool and tone from dark to light produce perspective. Gradation can add interest and movement to a shape. A gradation from dark to light will cause the eye to move along a shape. Repetition: Repetition of an art element with variation is interesting, without variation repetition can become monotonous. Contrast: Contrast is the use of opposing elements such as opposite colors on the color wheel - red / green, blue / orange etc. Contrast in tone or value - light / dark. Contrast in direction - horizontal/vertical. Harmony: Harmony in painting is the visually satisfying effect of combining similar, related elements. Adjacent colors on the color wheel, similar shapes etc. Dominance: Dominance gives a painting interest and lessons monotony. Dominance can be applied to one or more of the elements to give emphasis. Unity: Relating the design elements to the the idea being expressed in a painting reinforces the principal of unity. Unity in a painting also refers to the visual combining of various elements of the work. Creating: students will learn to use their voices, hands, and simple instruments to make different sounds; students will create and copy rhythmic and musical patterns; students will move their bodies rhythmically to music and percussion. Analyzing: Students will learn to identify elements of music: rhythm, tone, pitch, volume, etc. ; students will identify instruments by sight and sound; students will understand how instruments make sound and which instruments are related to each other; students will identify musical styles. Performing: students will demonstrate rhythmic skills using their bodies, voices, and simple instruments; students will practice performing in front of a group (working together, following a leader, paying attention to an audience); students will demonstrate listening skills and participation while being part of an audience as others perform. Researchers have shown that students who participate in regular physical education will enjoy enhanced memory and learning, better concentration, and increased problem-solving abilities. Regular physical education encourages a positive attitude towards self and others, which is an important factor in creating a healthy learning environment. Because children develop physically at widely varying rates, physical education activities will provide for varying levels of challenge and success and are adaptable for individual needs. Spatial Awareness: students gain understanding of where their bodies are in relation to their environment and others as they do physical activity; students will demonstrate concepts such as forward/backward, over/under, clockwise/counterclockwise, etc. Rhythmic Activities: students use their bodies to demonstrate rhythmic patterns; students will use rhythmic feedback to adjust their movements; students will use cues from music and other students to participate in group activities. Effort and Participation: students participate in skill-building physical activities at a moderate intensity level several times each week; students will develop strength and endurance; students will practice regulating the intensity of their activity. Personal Health and Nutrition: students will learn about the importance of physical activity and good nutrition for overall health; students will exhibit positive social behaviors through cooperative activities; students will learn about safe behavior during physical activity. 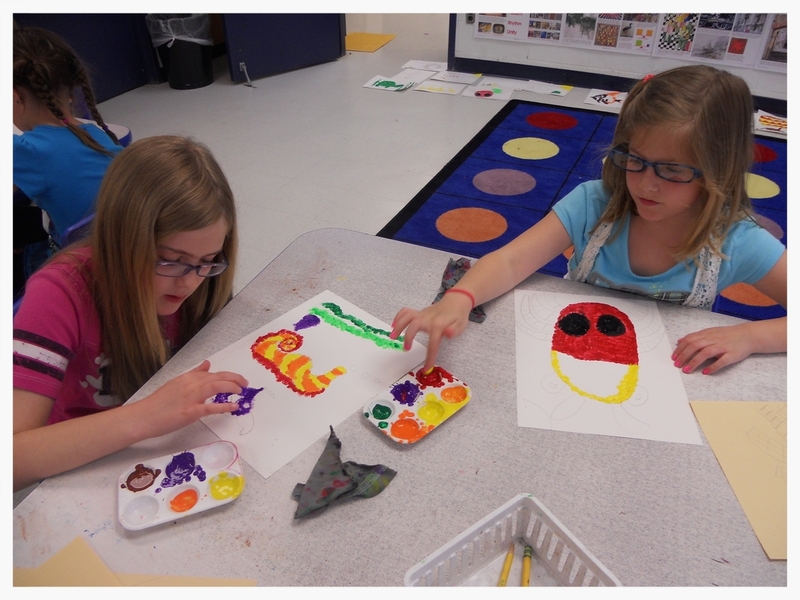 Dexter Community Schools offer world cultures courses to all students from Preschool through Grade 6. World cultures includes instruction in Spanish or Mandarin. The language offering is consistent through 6th grade. Once students enter middle school, they can choose further language study.